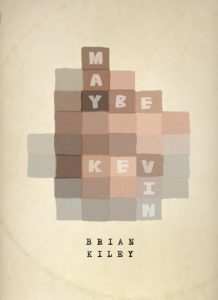 It’s the official launch day for the newest novel MAYBE KEVIN from Emmy winner, stand up comic and all around talented guy Brian Kiley. A master storyteller, Kiley takes the reader on a roller coaster of emotions which run the gamut from out loud laughter to flowing tears . His plot twists and characters keep readers firmly planted in their seats. Brian Bio: Brian Kiley has been a staff writer for Conan O’Brien for 23 years. He’s been nominated for 16 Emmy Awards (He won in 2007). 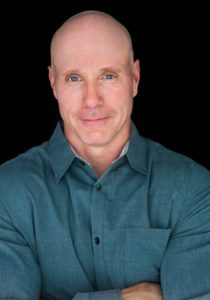 He’s appeared 7 times on the David Letterman show, 12 times on Late Night with Conan and 4 times on the Tonight Show and he has his own Comedy Central half-hour special. His jokes have been featured in Reader’s Digest, Prevention Magazine, GQ and the New York Times Sunday Crossword Puzzle. Description: Tom returns from World War II to discover his father and brother have turned their backs on him. Julie hopes to find a father for her beloved Kevin. Plot twists, sacrifice and raw emotion greet the reader when the lives of the two protagonists intersect as they each try and preserve what’s left of their family. If a novel is a map to emotions, Maybe Kevin (part Faulkner, part How I Met Your Mother) takes you on a compelling trip, teasing you with the truth, all while excavating the layered reality of a family. It left me sobbing. But the good kind of sobbing, where you also feel relieved. I sat down to read a chapter but instead read the whole thing and cried like a baby. Surgically constructed art with words, Maybe Kevin is a masterpiece.